I just learned today from Rawlinson Rivera that the whitepaper on vCloud Allocation Models was posted a couple of days ago on VMware.com. This is the paper that was being written by myself and Frank Denneman and the VMworld Session presented by myself and Rawlinson Rivera, (OPS-CSM1167 Architecting for VMware vCloud Allocation Models). The abstract is below along with the link to the full paper. This was one of the last vCloud Director related things I was working on prior to my move to the Nicira NVP role within VMware. Although this is based on vCloud Director 1.5, the concepts will still apply with 5.1 there is simply some newly added options when configuring some of the models. VMware vCloud® Director™ enables users to build a private cloud–based infrastructure as a service (IaaS) offering within their organization. By providing a secure, on-demand ability for end users to deploy workloads, companies can realize a level of agility previously thought impossible. 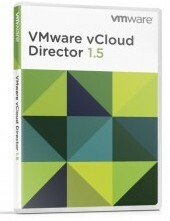 Resource design for vCloud Director involves examining requirements to determine how best to partition and organize resources. With the commoditization of infrastructure resources, the ability to scale them becomes increasingly important. When designing for vCloud Director, keep in mind that the ultimate consumers of the product are the end users of the system. Taking a top-down approach to vCloud Director design necessitates an understanding of the new abstractions introduced in the vCloud API and how they map to traditional VMware vSphere® objects. This paper was developed to provide additional insight and information as to how vCloud Director allocation models relate to vSphere resource management. The paper reviews and discusses various design considerations and operational procedures.